I am looking for the following parts for my Swift Charisma 555 (2009) Side light (top of caravan side) and a replacement shelf for rear cupboard above bed. And can you tell me if you have a bathroom sink for an Autosleeper Nuevo 2005. Need a front window 2015 dethleffs camper 550 caravan. Afternoon East Anglia caravan breakers I'm looking for the complete front blind assembly for a 2007 Avondale Dart 630/6. Please let me know a price if you can help me out. Also I am looking for a gas oven. Can you help? And what is your address please if you have any. Would you be interested in buying my camper to break? It's a very well fitted out Ford Transit, including solar flexi panel, electrolux 3 way fridge, calor hob/oven, sink with glass cover, fanlights, windows, worktops, cupboards etc. It's an MOT failure as of today. Looking for quick disposal. Hello East Anglia caravan breakers I am looking for a door for a rm4270 fridge dimensions 75cm x 47.5cm delivered to Swanage, Dorset, BH19. I’m also looking for a pair of wheel spats for a Bailey Scorpio caravan a 1990/97 model. Forgot to say I need replacement light bulbs for the toilet area in our 1996 abbey vogue 516 gts Can you help? ​After a Reich Tap Tail Pushfit 300mm (Blue) with fixing for tap and do you have a front window for a 2007 Series 5, Bailey Ranger, 460/4? 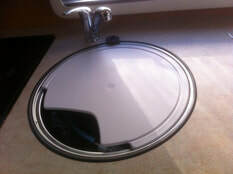 Getting really desperate, I'm also looking for the glass lid that covers the sink in a hobby 650 prestige 2004 hope you can help. I’m looking for and Avondale Dart 556-6 side window. Do you have any? I also have a Compass Pentana 524 2005 I am looking for a replacement stand alone gas/electric fire that is situated next to the fridge. just bought the caravan to find the previous owner had removed the complete fire , just the cover remains and the fan unit. I require the complete unit. Morning East Anglia caravan breakers I am looking for a shower lining for a 2011 Bailey Barcelona, please can you advise if have any of these. Also a Fiamma f45 3m awning, my friend during a drive my wheel fell off the trailer, its a Abi Rallyman GXL from 1992 from what i know. Once you get back to me i can send you pictures of how it looks like. The bearing of the wheel cracked and i lost the wheel. I am looking for a pair of wheel arch spats for a 1992 Gobur Carousel folding caravan. I am also looking for front centre window for Abbey Vogue 460 - 2006. 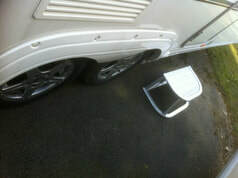 And need a spare wheel for Elddis GTX Hurricane. Can you supply? Alko chassis. Good afternoon, I have a Lunar Clubman caravan I am looking to have scrapped, it’s sat at back of our house for some time. Postcode EH3 bases near Edinburgh. Can you give me any advice as to companies who collect them for scrap at all? I am looking for a bpw axle or chassis Fitted to an Elddis or Compass 534. Would you have one. I am also looking for a toilet skylight for a Swift Pirouette 1989 model. Thanks. In advance East Anglia caravan breakers.